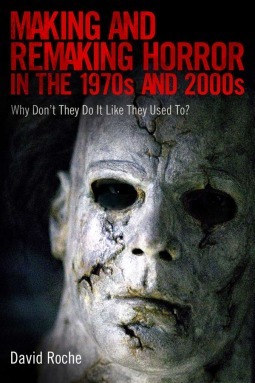 As a big fan of horror movies and someone who agrees with the sentiment that the originals made in the 1970s were more disturbing (and simply put ‘better’) than the remakes of the 2000s, I happily requested a chance to read this. Seeing the publisher is an academic press I figured it would have an academic tone, but didn’t quite expect the degree to which this is an academic treatment. Its main weakness in terms of appeal is thus that it has portions that are incredibly detailed and dry. Nonetheless, for what it sets out to accomplish, this study does a fine job and will have appeal to certain audiences, particularly certain sections. The opening chapter serves as an introductory overview or summary to the work as a whole, covering the ‘question’ of the study, the approach to address it, and a brief summary of the author’s conclusions. The next chapters then contain analysis of the films that are considered in their broad purposes and interpretations. These are the chapters that are going to be of the most interest to an average horror movie buff. Even if you have seen all the originals and the remakes several times over, I suspect that there will still be interesting insights raised, particularly to interpretations of aspects of the films, that you may not have considered before. Having already viewed the films helps. I’ve seen them all save for the Dawn of the Dead films (though I have seen the original “Night of the Living Dead” which comes up in discussion as well). I found myself skipping even the general analyses of the Romero film and its remake then, both because references were unfamiliar to me and I didn’t want some aspects of the story ‘spoiled’. I’ve seen “Texas Chainsaw Massacre” however, countless times, and appreciated its discussions greatly. To be fair, many of the analyses of this section are not Roche’s per se, but summaries and responses to a previous academic study on the topic he is taking up here. The latter part of the book is taken up with chapters that go into increasing detail into the construction aspects of each film (most interesting to me discussion of the film scores), eventually becoming a literal shot-by-shot summary comparison and analysis between the films. These sections, being less about the plot as much as the process of making the horror films, would be of tremendous interest to anyone wanting to create a work of ‘horror’. Even discussing what the term ‘horror’ means and how that compares to ‘terror’ or other concepts, these chapters are noteworthy of interest not just to those wanting to film horror, but even to those who strive to write a work of horror or suspense. So, although academic, there is plenty here for a general audience, particularly if reading selective sections. For the horror fan, it may even re-inspire you to watch some titles, as it did for me. Out of all the remakes, Roche appears to look most favorably on Rob Zombie’s Halloween. I recall thinking it had the strongest voice, but was more “Rob Zombie” than “Halloween”, truly his take on it, which had led me to really dislike the movie. With time and consideration of Roche’s book I think it is the one film worth reconsidering now with time of having some merit despite being a less ‘disturbing’ remake. 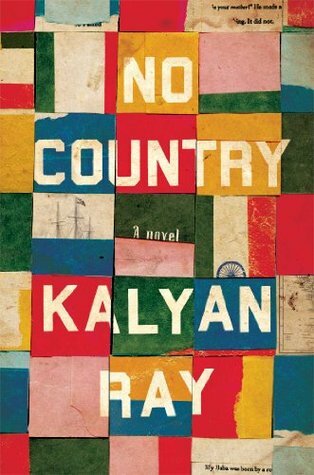 I quickly became enraptured by “No Country” and continued to enjoy its lush backdrops and interwoven stories of humanity until the bittersweet ends. The novel is aptly named because at its center the novel is about the human condition of being born, growing up, living, and dying, in various nation states of this Earth that are each indistinguishable in their basic challenges and joys. Starting in Ireland, the novel follows two young friends that are forced to leave their village and country due to different social and political circumstances, ending up on opposite sides of the world. They struggle to make their journeys, whether alone, or with dear friends. Once at their ‘destination’, immigrants in a new home, they find new challenges including the basic challenge of belonging, but not belonging, as a foreigner in a new homeland. The two Irish founders live in their new homes and give birth to new lines that go through their own struggles as the waves of history carry them to their own procreation and death. As time passes, more and more of the stories of their ancestors, and their traditions, begin to vanish into an amalgam of something new, but always full of hope and desire and dreams. And sometimes ugly tragedy. The most impressive element of Ray’s novel is its language and tone. Written in the first person throughout (obviously from various viewpoints), the voice changes from section to section based on the characters, as one would like. The early portions of rural Ireland are filled with a vocabulary and syntax that evokes the setting truly. Portions in India or the New World are suitably distinct and true themselves. Whether shifting in space, or in time, the writing shifts as well. I almost didn’t even notice this fact as I read the novel, as the story swept from place and time. But the biggest shifts at the end of the novel really made it clear as the reader is introduced to characters that are far from the heart and mind of the ancestors we’d been getting to know, reminding us that for all we may strive to make this world a greater place for our offspring, we have no control over what offspring will end up inheriting our legacies, nor of what future history can shatter all we build and value. Rather than being depressing as I may make it all sound, the novel still manages to resonate with measures of love and hope, and beyond anything, the sense that all we humans that are on this planet are a bunch of intermingled mongrels, with shared backgrounds and ancestors. It is a reminder that though we may have our nationalities, we are each of us born of immigrants who in turn came from other immigrants, unfamiliar to our current land, stuck in their ‘ethnic ways’, destitution and dreams not unlike the newest batches of immigrants we see around us today. A beautiful novel. Yesterday I was listening to a podcast of NPR Books and someone mentioned that young adult books often focus on how the actions of adults affect the lives of children, but rarely how children drive the lives of parents or other adults. That made me think about this novel and how Carleson’s work follows both directions of impact. The majority of this novel is about how the life of Laila (and the lives of her fellow young) are dictated by their family and culture. Yet, the novel also addresses the lack of freedom inherent even in the lives of the adults, whether they be parent, dictator, or (apparent) CIA officer. Furthermore the novel is that coming-of-age tale where the child begins to exert more freedom and actually turn the tables of control over so that they are now steering the course of their parent’s life. I finished “The Tyrant’s Daughter in one day. It is an ‘easy’ read, but it is also full of great ideas, intriguing characters, and compelling plots. The story is profound and it is populated with realistic people; the text flows naturally. 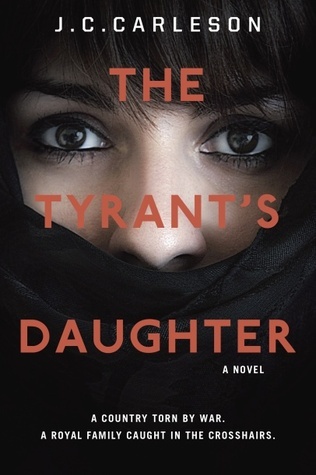 Nothing in this book seems superfluous, and Carleson nicely makes use of her personal experience to craft a taut thriller amid the literary underpinnings of Laila’s story. I appreciated just how well this novel mixes entertainment with significance, conflict with insight. This is a book I would have enjoyed even when younger. 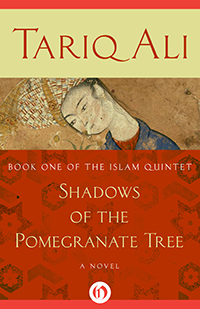 This novel intrigued me and held my interest primarily from its exotic nature to a Western reader relatively unfamiliar with the time period, particularly from the Muslim point of view. I studied Medieval Spanish history in course for school years ago, but not up to this point of the Renaissance period of ‘Reconquest’ under the reigns of Ferdinand and Isabella. It is immediately apparent that Ali writes nonfiction essays and screenplays predominantly, in many respects this novel is a mixture of the two set around a fictionalized plot of one family’s tragic destruction as microcosm of the Reconquest as a whole. Ali focuses the story around key historic details both political and of daily life, writing most eloquently when describing the mundane and quotidian, such as cooking a dish, or when describing moments of tenderness and eroticism. In contrast, while relaying large dramatic moments, Ali employs matter-of-fact brevity. The result is a flow that feels a great deal like watching a film, or a documentary re-enactment of events. In similar film manner the focus of scenes flows back and forth between characters with complete omniscience, favoring no single character in the novel overall, but intimately zoomed in to each for their moment in the camera’s eye. The resulting style may not be for everyone’s reading taste, but I didn’t mind it whatsoever, in a way it gave the events related on the small scale of this one family seem more grandiose and general for the society as a whole, splitting focus between characters with varied pasts, secrets, and points of view. What is interesting is that although on the face of it the events in the story feature a clash of religions, particular theological faith has very little to do with it. Really it is a clash of general cultures. The majority of characters have either a general faith in an almighty power, willing to accept the Muslim version or the Christian as required, or have no faith whatsoever. Instead, the events are reduced to a matter of conqueror and conquered. Of destroying a particular culture and wiping it out and the decision of whether to give into assimilation or fighting to preserve a culture and religious heritage. This treatment of a complex mixture of religion and general secular culture into a simplified form makes the point that these conflicts in history are, at their heart, ultimately independent of any theological issues. However, the treatment also reduces the characters, particularly the chief villain, into one-dimensional caricatures of cruelty. The novel thus certainly has its flaws, and those demanding happy endings to their stories should obviously stay away, but for those interested in an introduction to this period and the type of conflict that continues to this day, it would be worth reading. Foreign Gods, Inc. is one of those novels that can be deceptively simple. A well-educated Nigerian man, Ike (Eee-kay), struggling to make ends meet personally and professionally in the US returns to his home village in Nigeria, resigned to steal the local deity, a pathetic plan born of despair to sell the statue to a unique antiquities shop in NYC that offers statues (embodiments) of exotic gods to wealthy collectors. The novel is split between four segments: in NYC, in Nigeria, and back in NYC. Prior to the Nigerian setting that takes up the bulk is a historical ‘retelling’ of the village’s introduction to the missionary who ‘Christianizes’ them and his ‘battles’ against the Nigerian deity, a conflict that still continues in the present day village that Ike returns to. One theme of the novel is clearly despair and the actions that it drives people to take as they cling on to hopes and beliefs. This imparts a particular darkness to the book overall, it is not by any means a ‘happy story’. Yet, Ndibe manages to keep that tone of despair to a gentle pervading undercurrent up to the novel’s conclusion. With the heaviness of the plot, Ndibe infuses Ike with a humor of absurdity, so that even in the lowest of situations or scenes there remains a bit of the comic, creating a despair that you almost laugh at in realization of the futility in fighting back. Writing in third person, but from the limited POV of Ike, Ndibe also makes the writing lighter and unencumbered, staying true to Ike’s personality: perfect, precise grammar and vocabulary, but blithe and foolishly optimistic. 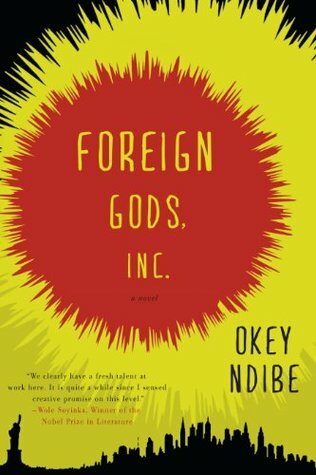 Beyond the straight-forward plot, Foreign Gods, Inc. says a lot about the cultural history and relations of the West and Africa, from the modern-day exploitation by the shop, to the manipulative brand of ‘Christianity’ exploiting the villagers. Yet, it is not merely critical of the West, but also characteristics of the Nigerian, past and present, such as government corruption… more exploitation. And I guess that is another major theme here, exploitation of those that are filled with despair. At first I found the historical segue into the Christian missionary who began the ill-conversion of the village to be oddly out-of-place in the scheme of the novel as a whole. It parallels the present-day Nigerian conflicts Ike finds himself embroiled within, but it also highlights how similar Ike ends up being to that Missionary, fueled by an almost insanely naive hope and optimism at the ultimate ‘rightness’ of their actions, certainty if they can just manage to accomplish one small goal that all of their problems will be solved, that a people’s spirits will be saved, or Ike’s existence will. In the end each of them act in such pathetic despair that they lose a certain humanity, becoming an embarrassment, a shell of what they were. I appreciated the depth that this novel achieves while keeping a strong, simple plot and superior writing.